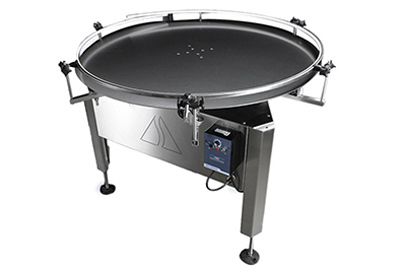 Our 40 inch diameter Accumulating Rotary Turntable for bottling production lines is manufactured in 304 stainless steel. Power provided by 1/8 Hp, DC gear motor. Variable speed up to 150 containers per minute.